And she only wanted to wear pink fairy dresses ..
Then for my background I decided on good times from boys rule as my base and inspired from midnight for the border adding machine stitching. Anita lives in a small town in Queensland, where she is a mother to three girls (Melissa, Kara and Eve) and a few pets as well. Her home is located on on 12 acres of land, surrounded by sugar cane fields and cow farms. 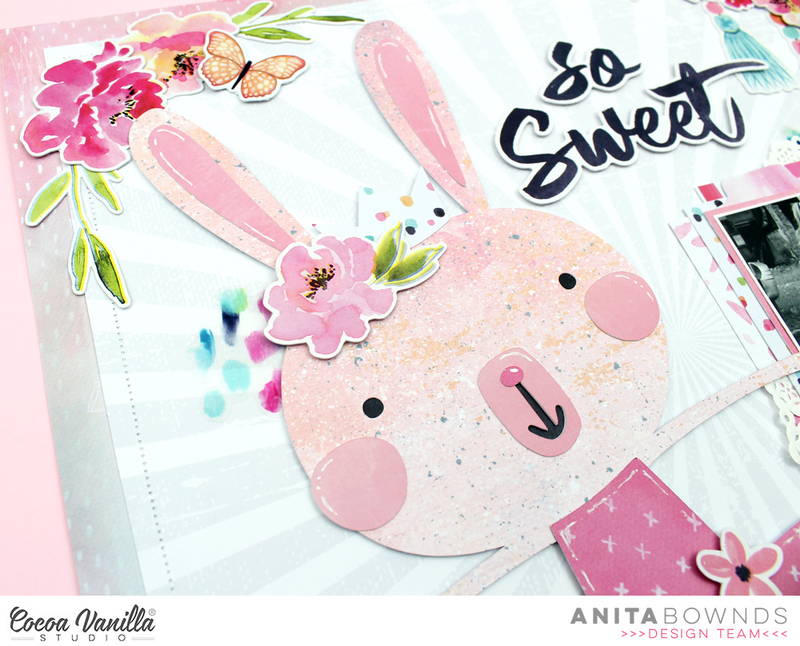 Anita loves to play with paper, a little bit of paint and also designs cut files. 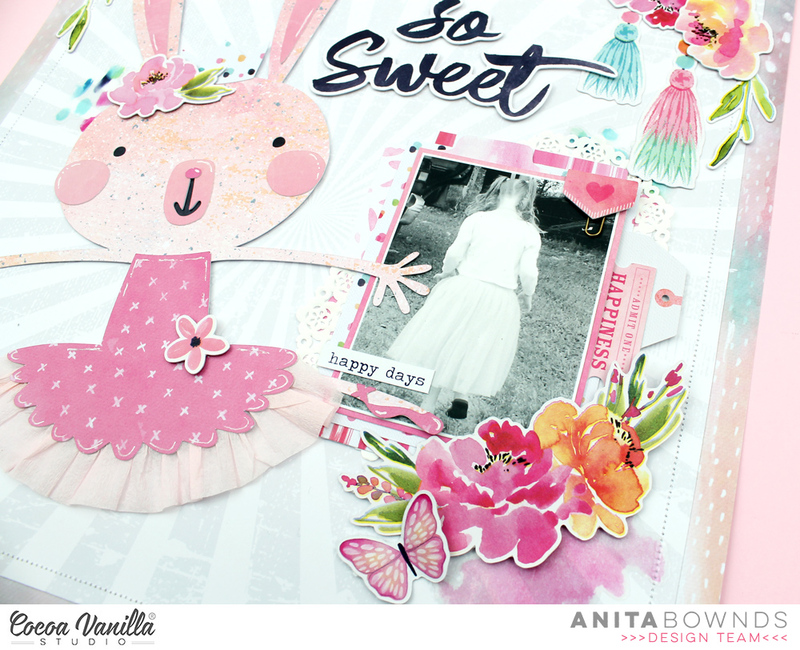 She was an arty student at school and first started scrapbooking in 2001. She loves creating clean, fun projects with lots of colour; especially those including fussy cutting, flowers and hand-stitching on cut files.